High School: Nadia Wilson-1st Place-Cat. Miscellaneous, Makayla Moran-2nd Place-Cat. Painting & 3rd Place Cat. Mixed Media, Jessi Provines-3rd Place-Cat. 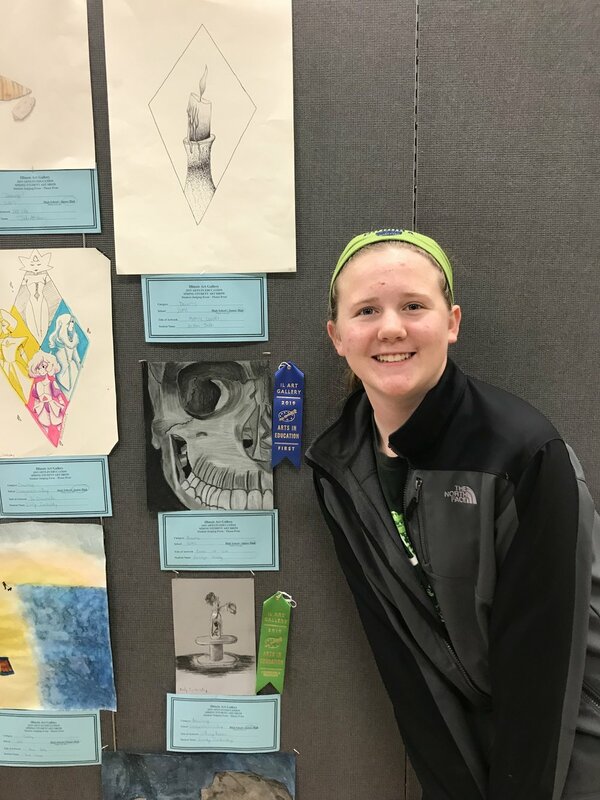 Drawing, and Ashlyn Brickey-3rd Place-Cat. Mixed Media and Painting-Honorable Mention. The exhibition was hosted by the Illinois Art Gallery at the Decatur Arts Council, downtown Decatur. The students’ artwork was on display on the third floor of the gallery March 27th through April 5th, with a closing ceremony that evening.